Acting on behalf of Sutton Council, SHW have let 38 Kimpton Road to H Mart Europe Ltd – a leading originally US-based distributor of Korean Foods in the UK. 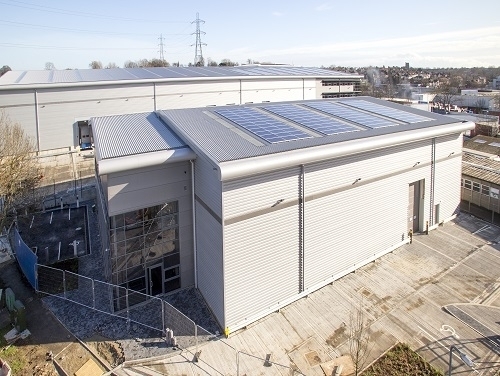 The brand new unit was constructed by Salmon Property on behalf of Sutton Council and provides for 17,000 sq ft of state-of-the-art energy efficient warehousing which has achieved a BREEAM rating of excellent. It has been let on a new 15-year term. 38 Kimpton Road hosts a series of eco-friendly features including electric car charging points, rainwater harvesting and photovoltaic cells for solar energy capture. H Mart were represented by Whitby Smith.